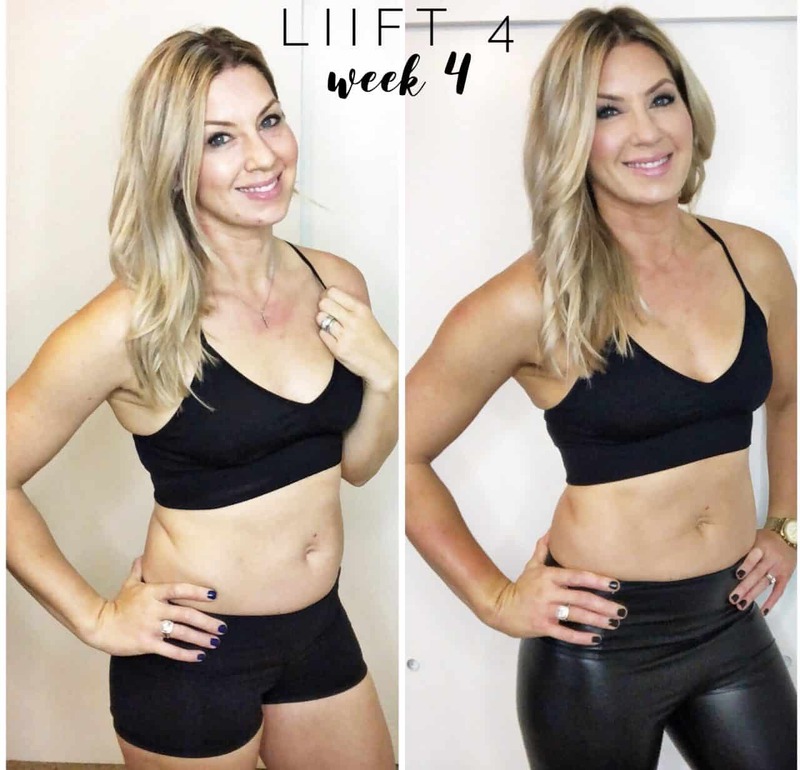 Week Four Liift 4 Review – A Mom’s Weight Loss Transformation! I can’t believe it’s already week four! Our team is having so much success with Liift 4. Everyone is feeling more energized, lighter, tighter, more in control of their schedule and the fact that it’s only four days a week, is really making it successful for a lot of busy women. We have a new group starting this week and then if you want to jump in on our next month’s group, please message me today. I am just loving that I can up my weights, track my weights and then on my two free days, I’m doing my favorite kickboxing, my Turbofire workout. I have almost a thousand workouts to choose from, so I can, you know, take those rest days and make the most of them and have fun with it. Liift 4 has some awesome shoulder moves that look easy and are actually pretty difficult. He does the craziest hit moves and I swear every core move that Joel puts together for the end of the workout feels perfect in conjunction with what you did that day. It’s like he knows exactly what muscles didn’t get worked and need to get worked. And then need to get double worked. It’s pretty crazy this week. Our leg day had no weights involved. It was only hiit and it was 27 minutes of pure craziness. My quads were on fire. Those triple bears are just crazy. I definitely notice having no wine all month in my waist line. My love skin from having two kids is so much tighter because of the muscle that is happening underneath it. And the fact that I’m focusing on more water and no alcohol has helped a ton. I’m also focusing on making new recipes. So of course I’ve been using my Instant Pot. You can see my other YouTube video for that. I use some spicy chicken sausage with my spaghetti squash and did a little sauce on top of that and warmed it up. I’m also making a fennel, almond and lemon salad. I’ll also be checking in next week with another video and then, a new transformation video so you can see the progress that I’ve made. Thanks for watching.